Hello there! 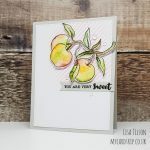 Today is the final day of the countdown teasers for the February release from Clearly Besotted. 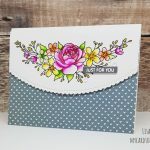 All stamp sets and coordinating dies will be available for purchase on Friday 1st February 8pm GMT at Clearly Besotted and Simon Says Stamp. 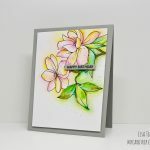 For my final card, I am using the beautiful Floral Spray stamp set…. Well I don’t know about you, but I’m already wishing it was April or May! 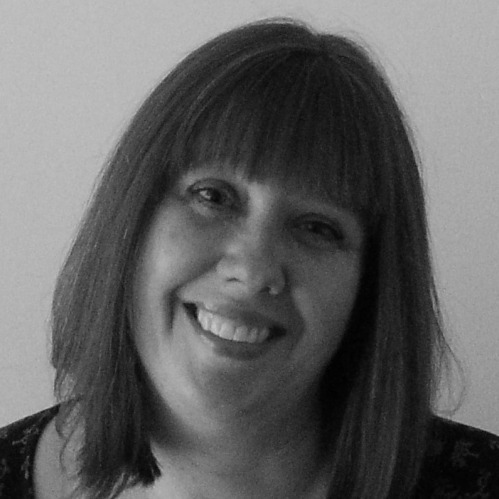 I’m not a big fan of winter months, not so much because of the cold, but mostly because of the dark short days. 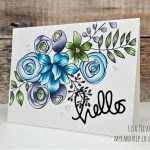 So what to do when you need a little pick me up, but to colour some flowers…. 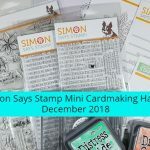 Hello everyone Today I am back with a couple of cards to celebrate the launch of one of our favourite months of the year over at Simon Says Stamp – DieCember. 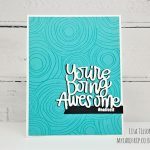 A month long celebration of dies and I was kindly sent a fabulous sentiment die to have a play with – You’re Doing Awesome….